This is a safe space, right? My name is Brad and I have death wobble. Or, should I say, had death wobble. My stock tie rod was frowning (bent) and was effecting the alignment of the Jeep. Like most Jeeps with death wobble it presented itself at road speeds of 35-55 mph. 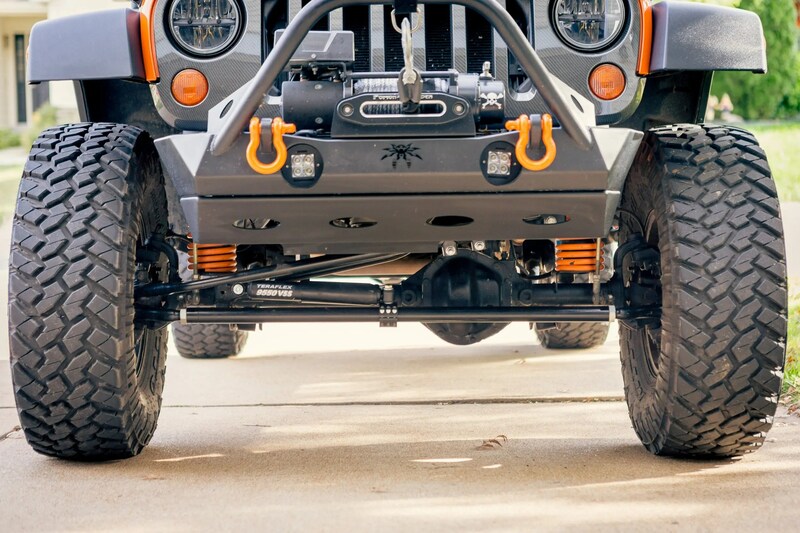 Any uneven or bumpy road could awaken the wobble monster. Enter Teraflex. Ahhhhhhh. This kit is pure beef. 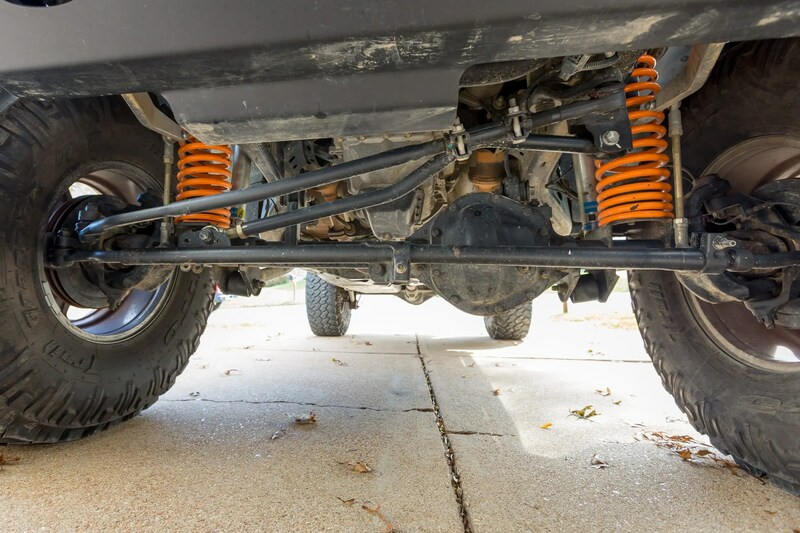 The TeraFlex HD Tie Rod & Drag Link Kit are designed for extreme conditions that typically cause factory steering components to bend and fail. I haven’t put it through it’s paces yet. But, I’m sure that will happen in the future. These parts ought to out last the Jeep. The quality and overkill is evident. I was crazy busy with work. So, the guys at Axleboy in St. Peters, Mo installed it and performed a spot on alignment. The joint is pressed into the rod end housing and secured with a snap ring. 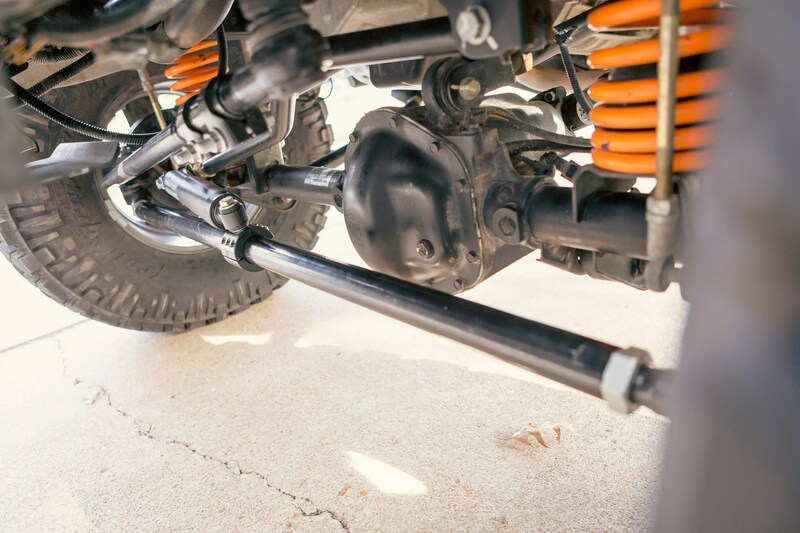 When oriented in the Tie Rod configuration, the joint offers a total of 14 degrees movement to minimize tie rod roll, but will still allow maximum turning. Here’s my bent stock setup. 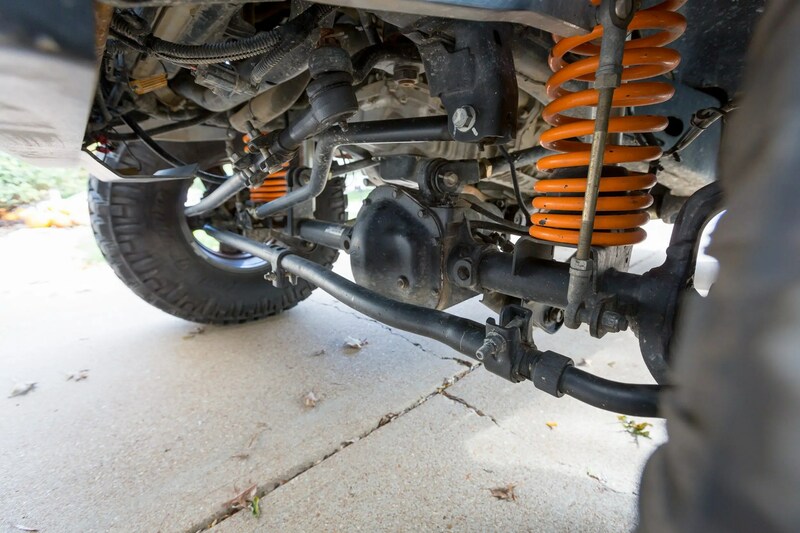 Compared to the beefy Teraflex HD Tie Rod & Drag Link. Yum. It’s a worthy upgrade. I should have done it sooner.